For many, one of the challenges of writing is making sure each character has his own unique voice. Who hasn’t received a rejection that referred to our “puppet” or “cardboard” characters? Attending to the body and physicality of our characters can help. An improv theater exercise has each student walk across the room with a different part of his body leading the way. Try it. Walk across the room with your chin leading the way. Then, with your right shoulder leading the way. By the time the student gets to the other side of the room the way he carries his body has begun to create a particular voice that is not the author’s own. How does a four-year-old walk across the room? How does an exhausted father walk across the room? Body contributes to voice. 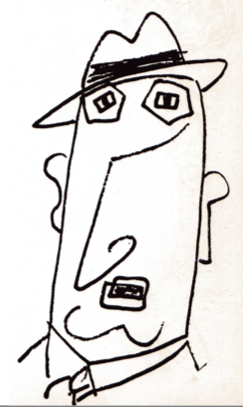 Another way to explore voices is to sink into images (even caricatures) of different people. 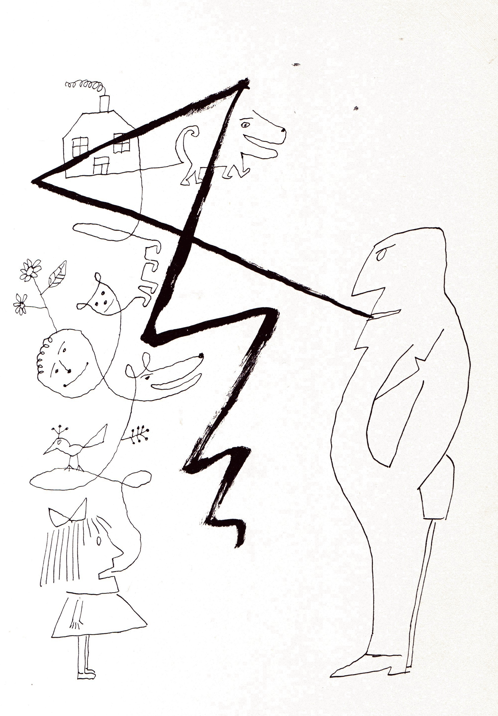 William Steig’s drawings done long before he thought of SYLVESTER AND THE MAGIC PEBBLE can help our minds play and discover. Given their body posture and facial expression, how does each of the following characters express their reaction to the scene next to them? The differences in each character’s response is what makes them unique and interesting. 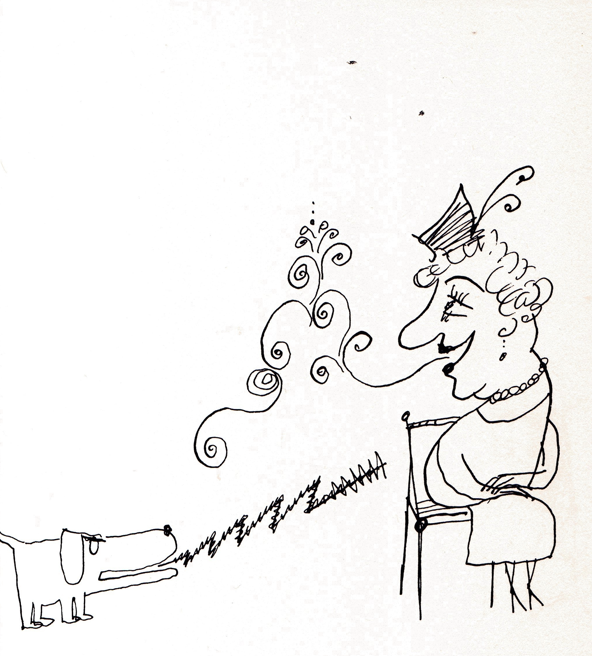 THE STEIG ALBUM by William Steig. Duel, Sloan and Pearce, 1953. In many ways voice comes down to character whether we are referring to characters in a story or the author/narrator telling the story. Voice is communication and the desire for connection between people. This connection may be face-to-face or leap over years and miles through reading. A character’s dialogue and action are guided by back-story, but primarily by her immediate wants or needs of the other characters. If a character has no needs or wants why is she in the story? So…what do we, as writers, want or need from our readers? What does our narrator’s voice reveal about us? As writers and storytellers our primary “want” is capturing and keeping the attention and emotions of our audience. Even if our desire is to do something supposedly more important than keeping their attention such as teaching them something we need answer this reality: How can you teach or inform anyone unless you have their attention? The vital next question is: What are we doing to achieve that “want” of keeping their attention? Volume? Tone? Attitude? If we encounter resistance to achieving our want in life, we eventually learn that the best tactic is to try another approach. Then another and another. As picture book writers we want the same toolbox of approaches. And, to always being aware of what our storyteller’s voice reveals about us. Warm? Comical? Demanding? Bossy? Scolding? Condescending? Playful? Challenging? Most of all, is it a voice eager to share an experience with an equal? As writers we know the power of the right word. It is a significant part of writing and revising. Still, many of us feel a resistance toward revising or a sense of failure that must be repaired. Once again the right word can make all the difference. I was at the Bonn International School in Germany last week to help students with their writing. During a visit to Jen Whitman’s second grade class I learned a new right word. Her students do not revise a manuscript. They revisit a manuscript. What a generous difference and shift in perspective that change of word creates. When we revisit a place we know what we want to see again, what spots or activities weren’t as engaging as expected, and also what new things we’d like to explore. Perhaps it’s time to stop trying to revise a manuscript, and enjoy revisiting it instead. We’ve all felt the warmth of a kind voice, the burn of a scolding voice, and the confusion of a dithering voice. We also know which of these voices kept our attention. 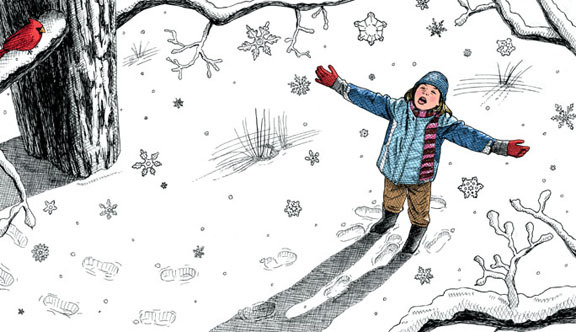 Our readers also experience this interaction thanks to the array of picture books today. Later this month we’ll explore the range of voice on two levels. First, the voice of the narrator toward his audience. 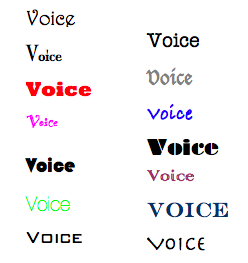 Second, the differences between a child’s voice and an adult’s voice in fiction. 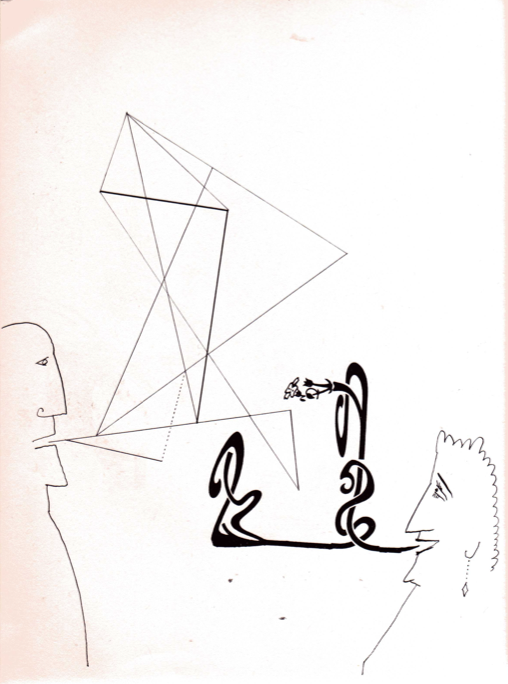 I’ll be away the next three weeks, but wanted to leave you these wonderful visualizations of voice by Saul Steinberg. Do we write to confuse? To overwhelm? Or connect? 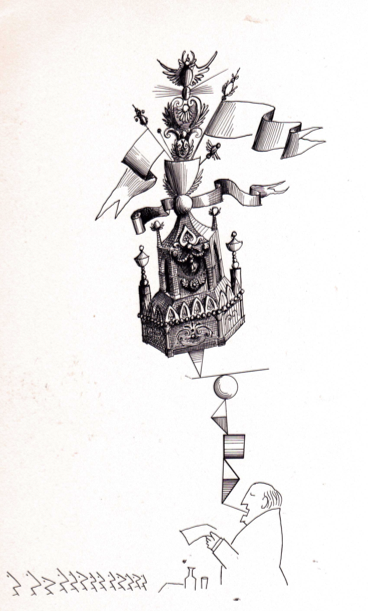 THE CATALOGUE by Saul Steinberg. World Publishing, 1962. While sales figures for picture books are down and many pundits have proclaimed the picture book to be a thing of the past, I loudly disagree. If you’re reading this I know you also disagree. We all have a friend in Julie Hedlund. If you don’t already know her blog “Write Up My Life,” you’ll be grateful the day you find it. 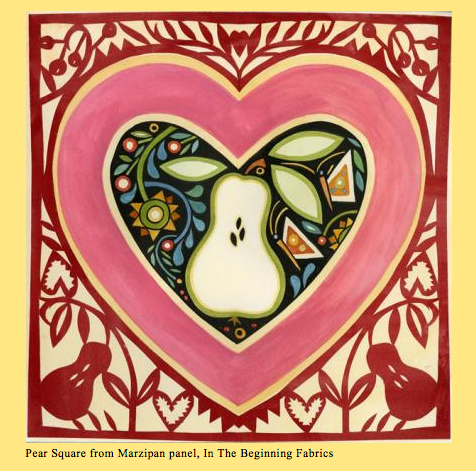 Julie honored me with the request of writing a guest post this month as part of her 12 X 12 in 12 year-long adventure. You can find my guest post titled “From Flicker to Final Manuscript” at <www.writeupmylife.com>. #1. 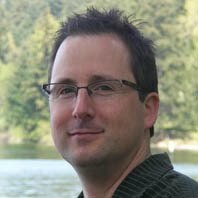 What elements of a manuscript first capture your attention? Plot? Language? Imagery? Tone? Sound? Theme? The easy answer would be to say all of the above, which for me is also true. More specifically though I get a lot of enjoyment from the setting, whether it’s historical or not and also the characters. 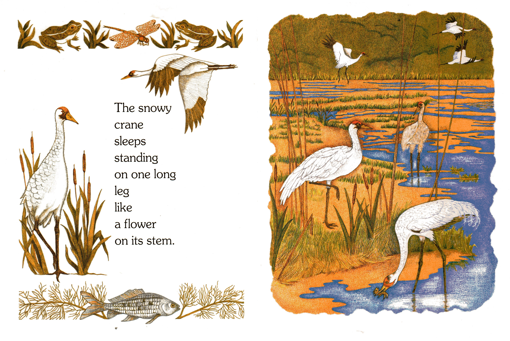 For my picture books THE CAN MAN and NATURE’S PAINTBOX: A SEASONAL GALLERY OF ART AND VERSE both were set in the present which made for a nice change of pace from my typical historical projects. 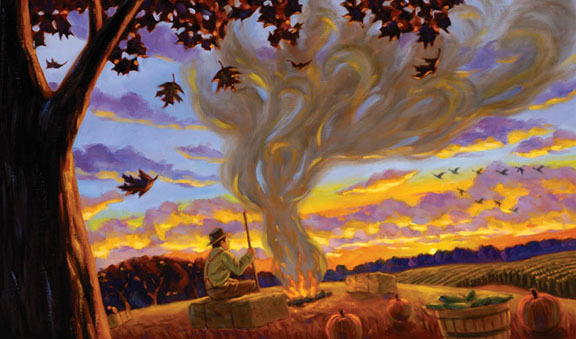 NATURE’S PAINTBOX does not really have a main character; the four seasons were my main characters. Bringing out the fun distinct elements of each season and letting my imagination run wild was really rewarding. It was also my first time illustrating poetry so that brought its own unique challenges. 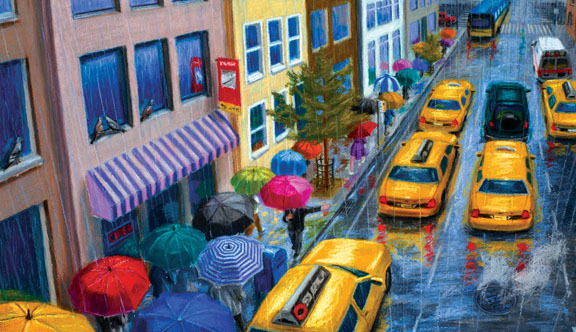 For the book I worked in pen and ink, pastel, watercolor and oil paint to depict each season. 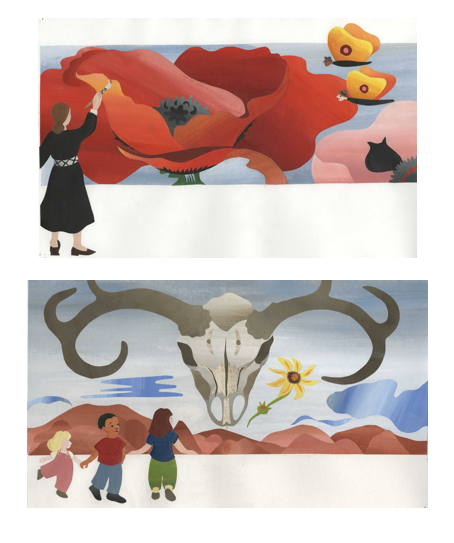 Typically an illustrator works in only one consistent medium for each book. For THE CAN MAN it was very character based and deals with serious and topical subject matter like homelessness and wants versus needs as seen through the eyes of a young boy. Tim lives in the city and comes from a family of limited means. He wants a skateboard for his birthday and decides to earn the money himself. I wanted my visuals to be grounded in reality. Living in Seattle at the time I took visual elements from the city but not in any obvious way then put them in the artwork. Traveling around the city with my camera was great fun. #2. What elements of a manuscript inspire your choice of style, line, and palette? 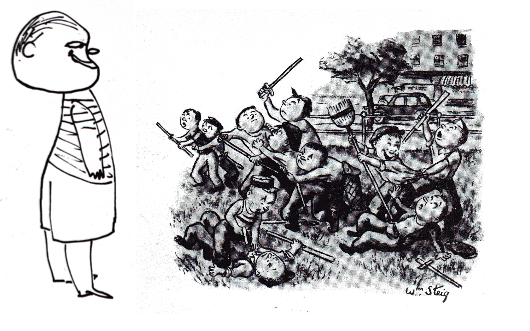 For example, your illustrations in PAUL BUNYAN, NATURE’S PAINTBOX and THE CAN MAN are at once related, yet still different from one another. For THE CAN MAN I knew I wanted to work in my usual medium oil to capture the richness and detail of Tim’s life in the city. 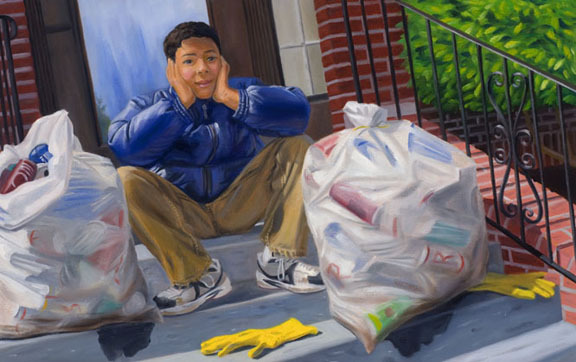 Oil painters like Edward Hopper and Wayne Thiebauld among many others were and continue to be an inspiration and I felt that oil paint best captured the urban realism depicted in that story. As I mentioned earlier, in NATURE’S PAINTBOX the poet Patricia Thomas in the text makes comparisons between the seasons and the four different mediums so the decision on what medium to use was made for me. I did however have to practice with pen and ink and pastel, two mediums I hadn’t used much since art school and much earlier. I felt a lot of pressure with that book to make all the different mediums look equal as far as skill level. 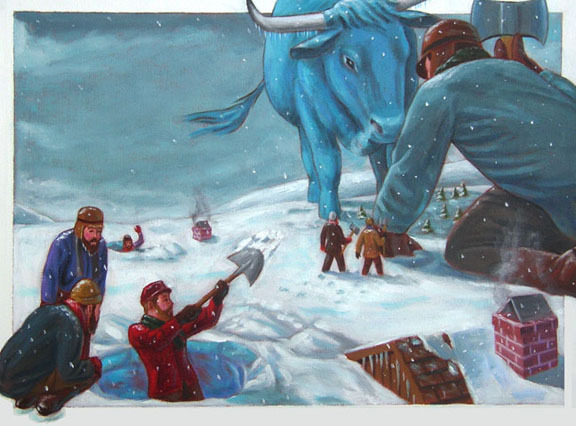 For PAUL BUNYAN I wanted something flatter and more cartoon like so I worked in acrylic paint and used a lot of line work, which gave me the effect I was looking for. I wanted less realism and a more playful quality. #3. 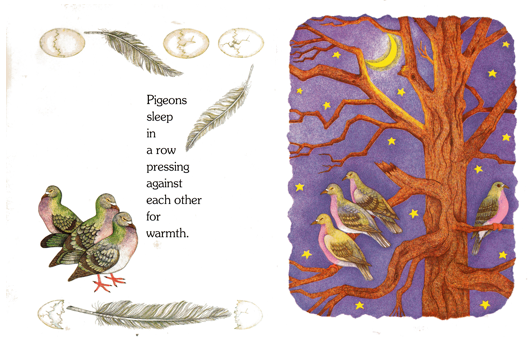 Is there a picture book text that you would love to re-illustrate? What about the text excites you toward doing this? They aren’t really picture books but I love a lot of the classic adventure stories that N.C. Wyeth illustrated a hundred years ago like TREASURE ISLAND, KIDNAPPED, ROBINSON CRUSOE and others. His images are so burned in my brain though it would be pretty hard I think to come up with something new or that wasn’t too influenced by his work. KIDNAPPED is a favorite story I have reread many times. I love the setting of the Scottish Highlands in the 1700’s and the main characters Alan Breck Stewart and David Balfour. The tale is so vivid in every way. That we take these stories to heart very deeply and try really hard to bring them to life visually. Reading them over and over multiple times, acting out scenes in order to help you sketch the characters better and capture their feelings brings the illustrator into this world the author has created. Along with the satisfaction of completing a project I do feel a little bit of sadness and even a mild depression when it comes time to say goodbye to the world the writer created and I immersed myself in. If you’re lucky though another story awaits just around the corner! 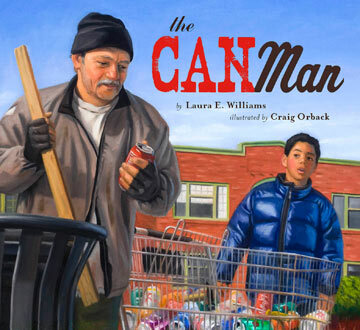 THE CAN MAN by Laura E. Williams. Lee & Low, 2010. 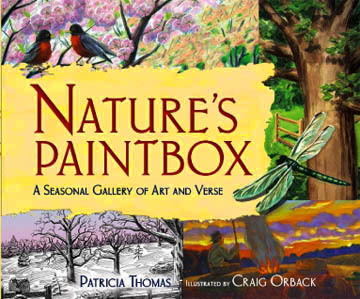 NATURE’S PAINTBOX: A SEASONAL GALLERY OF ART AND VERSE by Patricia Thomas. Millbrook Press, 2007. 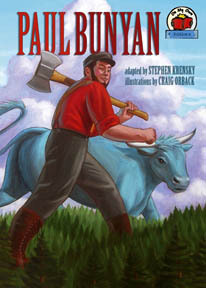 PAUL BUNYAN adapted by Stephen Krensky. Millbrook Press, 2007. 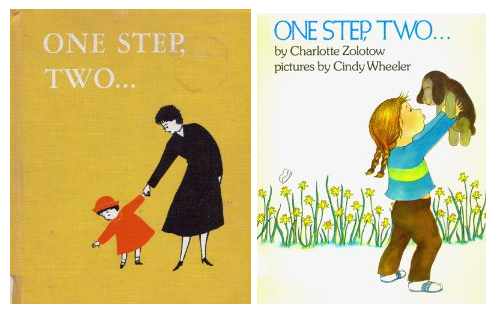 Charlotte Zolotow both edited and wrote many of the outstanding children’s books of the last 60 years. 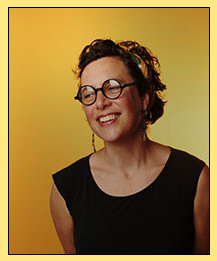 Thanks to the expanse of her writing career, several of her earlier picture books have been re-illustrated in recent years. 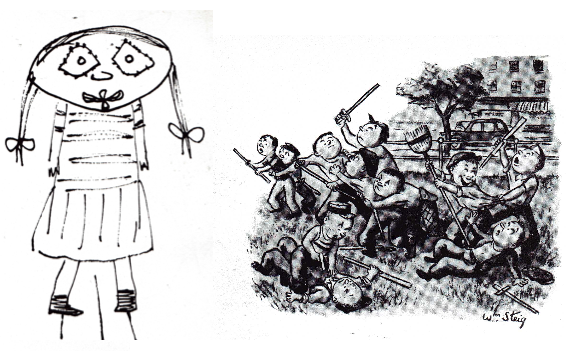 The differences in styles, trends and printing technology demonstrate once again how many ways there are to interpret a single picture book text. As picture book writers, we write to communicate with our young readers, but we also write to communicate with our future illustrators. 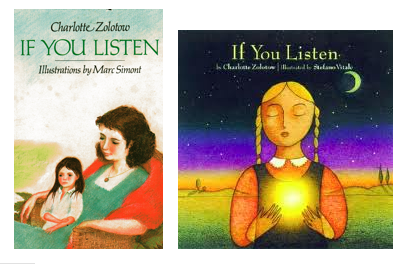 IF YOU LISTEN by Charlotte Zolotow. Illus. by Marc Simont. Harper, 1980. IF YOU LISTEN by Charlotte Zolotow. Illus. by Stefano Vitale. Running Press, 2002. ONE STEP, TWO by Charlotte Zolotow. Illus. by Cindy Wheeler. Lothrop, Lee & Shepard, 1981. ONE STEP, TWO by Charlotte Zolotow. Illus. by Roger Duvoisin. Lothrop, Lee & Shepard, 1955. 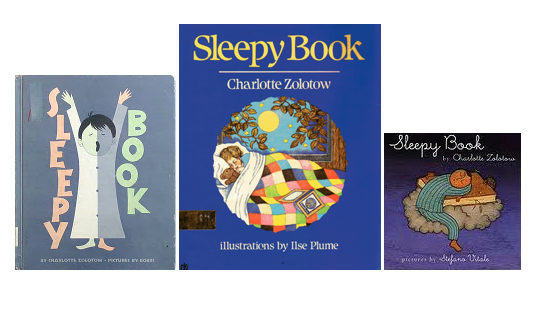 THE SLEEPY BOOK by Charlotte Zolotow. Illus. by Vladimir Bobri. Lothrop, Lee & Shepard, 1958. 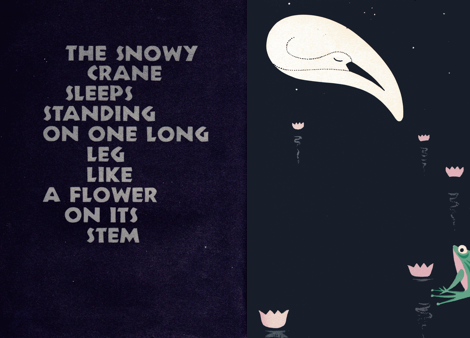 THE SLEEPY BOOK by Charlotte Zolotow. Illus. by Ilse Plume. Harper, 1988. THE SLEEPY BOOK by Charlotte Zolotow. Illus. by Stefano Vitale. Harper, 2001. Language is the first thing that grabs me. But it is hard to pick out any one element; all of the elements work together to create a good story. I respond to a good story first as a reader. When I read something that I want to illustrate I feel a general excitement. I rarely envision specific imagery right away. I read a text so many times and from so many angles as I am illustrating; I really grow to appreciate a well-written text more and more as I am working on a book. In your wonderful book WHO PUT THE COOKIES IN THE COOKIE JAR? I responded to the rhythmic qualities of the language and also to the loving message. It felt right to illustrate it in a way that was influenced by the books of my childhood. 2. What elements of a manuscript inspire your choice of style, line, and palette? 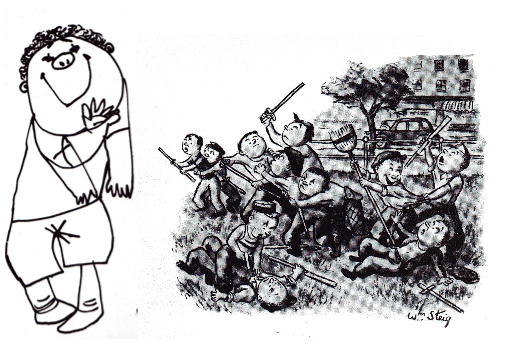 For example, your illustrations in THROUGH GEORGIA’S EYES, HERE COMES GRANDMA, and MRS. CHICKEN AND THE HUNGRY CROCODILE are at once related, yet still different from one another. Before I start drawing at all I let the manuscript percolate in the back of my mind for as long as I can. Gradually I get a sense of what I want the illustrations to look like. It is a combination of intuition and rational decision-making. I will also do research related to the text. When I illustrated THROUGH GEORGIA’S EYES I read her biography, looked at lots of her paintings, visited her home in Abiquiu and her museum in Santa Fe before starting any sketches. That was the rational part. But I was still stumped for how to approach it. 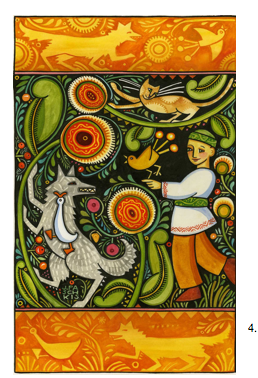 In Santa Fe I went to the folk art museum and saw some Polish paper cuts and made the intuitive leap to illustrate that book as paper cuts. That way I could honor her paintings without trying to paint a Georgia O’Keeffe; translating the medium allowed me to use her imagery in a way that was still mine. In HEAD BODY LEGS by Meg Lippert and Won-ldy Paye I wanted bright colors and simple shapes intuitively to echo the simple and funny story. 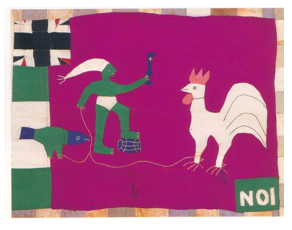 Specifically I was inspired by Asafo Flags of West Africa as a way to approach the storytelling. I continued that style in MRS. CHICKEN and in THE TALKING VEGETABLES. In every book I want the pictures to amplify and echo the words. And I want to have fun painting it. I think I have succeeded if the reader can’t imagine the words and the pictures without each other. The words come first in my process. 3. Is there a picture book text that you would love to re-illustrate? What about the text excites you toward doing this? I would love to illustrate Peter and the Wolf. I did a poster for NW Sinfonietta a few years ago. I listened to the story and the music while I was working on it. I love them both so much. I would like to illustrate the whole piece. 4. As an illustrator, what is it that you most want writers to understand about you creative process? *Something happens – it is easier to illustrate a story than a reverie. *Not everything is spelled out; there are places for me to use my imagination. *I think that the same qualities that make a book good to read make it good to illustrate. 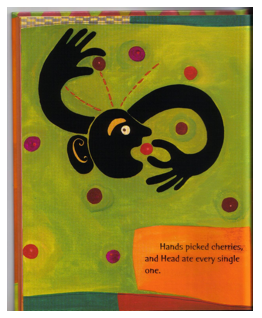 HEAD, BODY, LEGS by Won-Idy Paye & Margaret Lippert, Holt, 2002. THROUGH GEORGIA’S EYES by Rachel Victoria Rodriguez. Holt, 2006.
WHO PUT THE COOKIES IN THE COOKIE JAR by George Shannon. Holt, TBA. 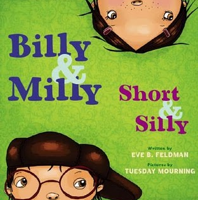 The best and best-known picture book short, short stories feature friends and siblings. It only makes sense because an established relationship lets one “cut to the chase” and story. 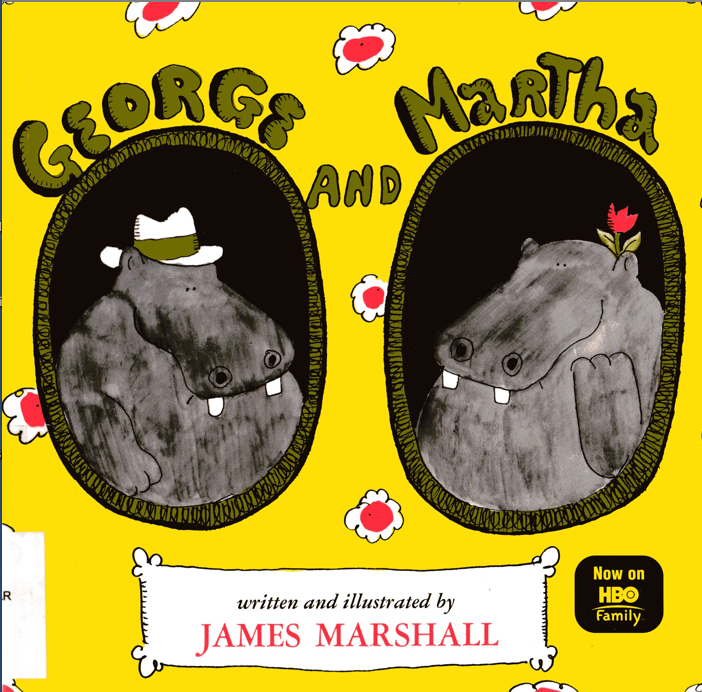 George and Martha are two of the best-known pals and hippos in literature. James Marshall captures and explores their relationship through seven collections of short stories. Whether one labels them as vignettes or sketch stories, Marshall’s moments revealing the lives of George and Martha engage and entertain. They also linger in the reader’s memory. Who hasn’t been caught putting the equivalent of split pea soup in a shoe in the hopes of not offending the cook? 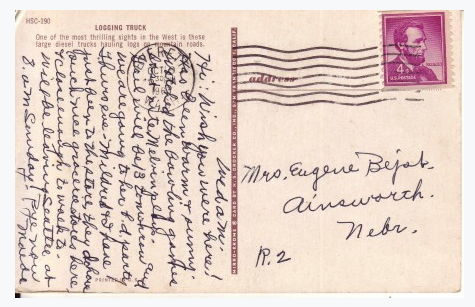 No matter how long or fat the great American novel may be, it still comes down to a series of brief and personal moments. 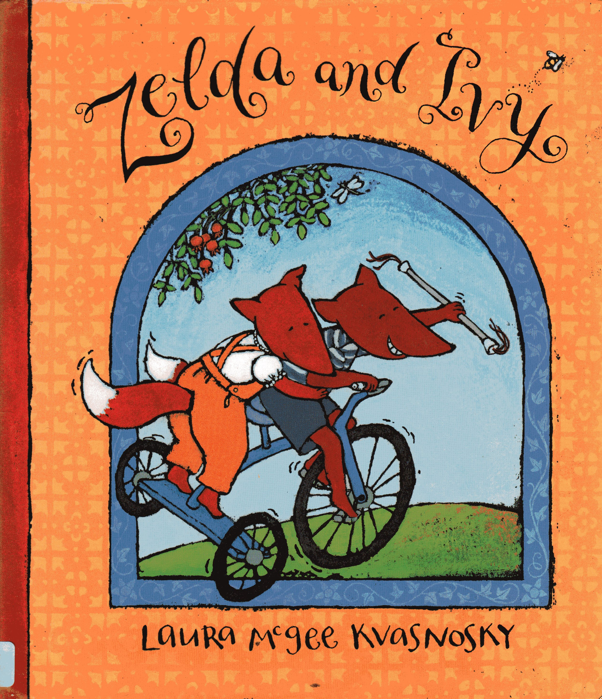 Such moments are the heart of GEORGE AND MARTHA and Laura Kvasnosky’s ZELDA AND IVY. Where George and Martha are chosen friends, Zelda and Ivy are siblings who are expected to act like chosen friends. 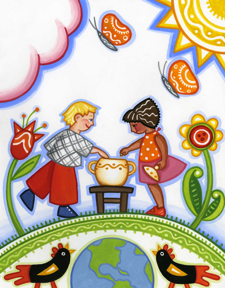 This common and complex relationship gives author Kvasnosky a rich and varied playground. While each short story in ZELDA AND IVY feels complete in itself, the full collection brings both a deeper connection with the characters and a deeper connection with reality. Zelda may eventually have a moment of compassion, but she will always be the older sister who makes sure she gets to do everything first. 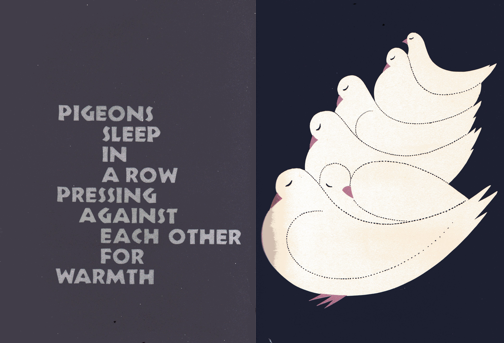 Ethan Long’s BIRD & BIRDIE is different in that it focuses on the creation of a relationship. 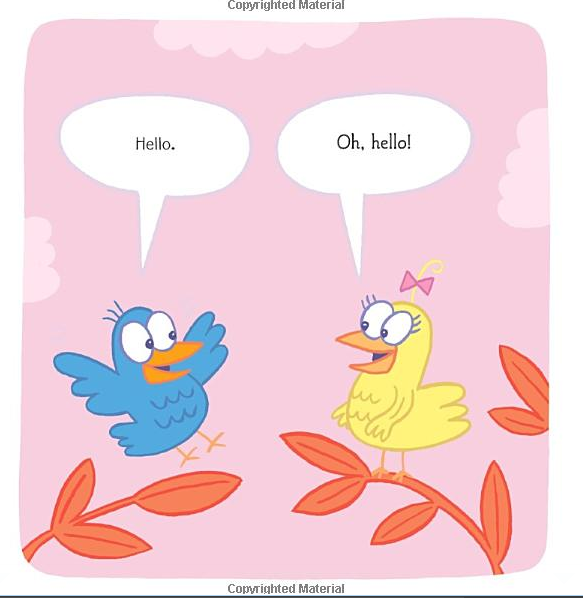 And, like all new relationships, BIRD & BIRDIE is series of miscommunication, upsets, and opportunities for empathy. Some people write long stories. Others write long stories by creating a mosaic of moments. That option is our opportunity. On those days you can’t think of a story or plot, relax and return to the moments of you life. As James Marshall, Laura Kvasnosky and Ethan Lang prove, those moments might well be a collection of stories just waiting to be shared. BIRD AND BIRDIE IN “A FINE DAY” by Ethan Long. Tricycle Press, 2010. GEORGE AND MARTHA by James Marshall. Houghton Mifflin, 1972. In the early 1970s Arnold Lobel and James Marshall (who became good friends) each started what became a series of short story collections about two good friends. FROG AND TOAD ARE FRIENDS* and GEORGE AND MARTHA brought a new possibility to the picture book. Rather than a single narrative arc based in plot, one could also focus on characters and relationship in a series of encounters. Another way to look at short stories, be they by Chekhov, Cheever, Marshall or Kvasnosky, is that they are snapshots of human behavior. In the end, every novel and every life is an album of such snapshots. Within the term short story there are a variety of subgenres and fluid definitions of each. There is no rule that one must not blend these categories, but it is valuable to know their differences and possibilities. Primary characteristics are extreme brevity, fast pacing from one plot point to the next, and less developed characters. Many sight Aesop as the first flash fiction writer. Stoops” establishes setting (front steps). “Hoops” establishes activity (shooting hoops). “Scoops” establishes second character’s activity (eating an ice cream cone). And “Oops” proclaims conflict (rogue basketball ruins the ice cream cone). Tuesday Morning’s illustrations are vital to the reader’s grasp of these very mini stories because they clarify setting, characters and action. Another of Feldman’s stories manages to establish setting, character, conflict and resolution in only four words. Whether you’re writing picture book short stories or a single story picture book try a draft using only 5 to 10 words. You’ve got nothing to lose, and it might help you find the primary beats of your story. 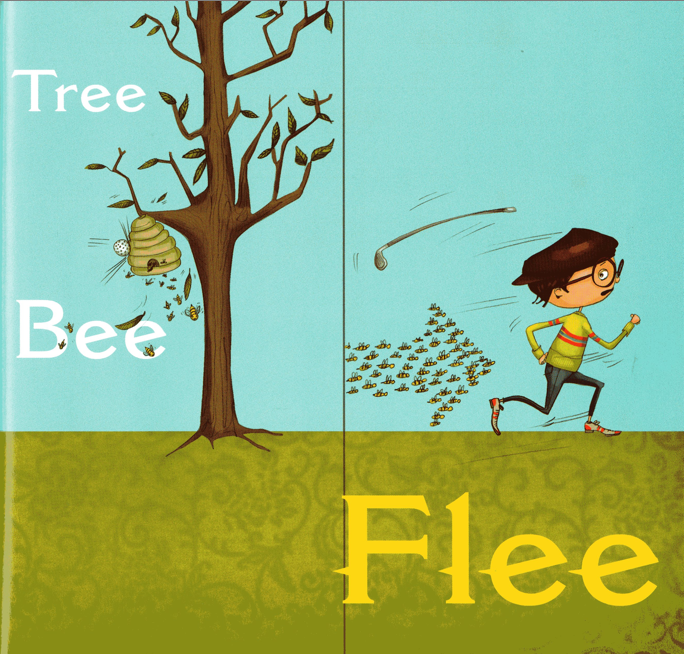 Next spring brings another example of cracker-jack flash fiction in picture book form. 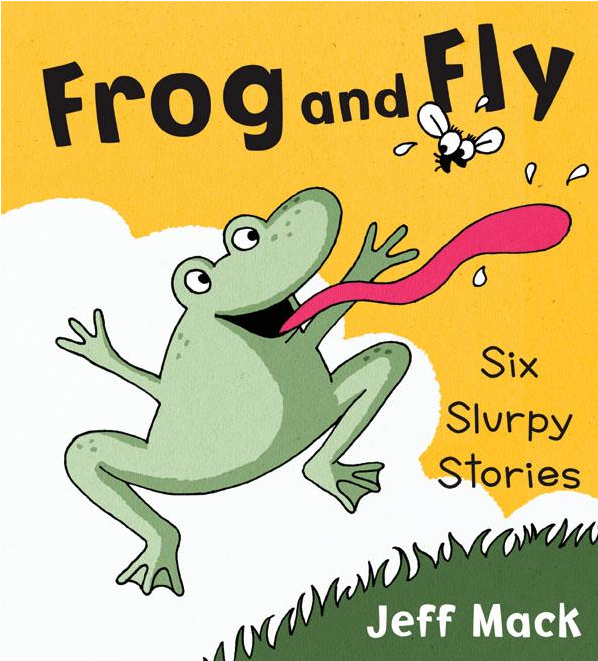 Jeff Mack’s forthcoming FROG AND FLY: SIX SLURPY STORIES is a playful delight. I read the F & Gs at my local bookstore, and can’t wait to by my copy come March. Coming next: The “sketch story”, the “vignette”, plus George & Martha, Zelda & Ivy, and Bird & Birdie. *Because FROG AND TOAD ARE FRIENDS is an early reader I will not be discussing it these two posts. For a look at Frog and Toad and as they compare and contrast with George and Martha please visit my biography on Lobel entitled ARNOLD LOBEL (Twayne, 1989). BIRDY AND BIRDIE IN “A FINE DAY” by Ethan Long. Tricycle Press, 2010.